Recently I had the pleasure of watching Peyton and his step father Roger Wilson at the Championship event. These 2 anglers are in the top 5 of the 2019 leaderboard and it is well earned. They both have a good skill set and drive to do compete. Although this interview is with Peyton, our top youth angler this year, I commend Roger for all he has done to bring Peyton to the sport. Ben- How long have you been competing and what brought you to the competition scene? Peyton- I have been fly fishing for 5 years. I started in 3rd grade. I have been competitively fly fishing for about 2 years. My step dad Roger Wilson introduced me to fly fishing and the competitive world. Ben- What were your goals for last season and did you accomplish them? If so what were the keys to your success. Peyton- My goals for last season were to compete as much as possible to learn how it works, learn to fish under pressure and being timed, to participate in a Team USA youth clinic, and compete in youth nationals. I did accomplish these goals. Last season I competed in about 8 or 9 competitions. I placed second in the Battle of Gatlinburg one fly tournament. I attended a youth clinic and also competed in youth nationals. I also learned that fishing while being timed means you have to figure the fish out fast. The keys to my success were going out and practicing fishing, participating in competitions, and the strong support of my family. Ben- What are your goals for this season and how do you plan to achieve them? Peyton- My goals for this season are to help my team, Team Nymphmaster to bring home the gold cup, to earn a spot on the youth world team, and to win nationals. To achieve my goals, I plan to compete in several more tournaments in order to gain more experience. I also plan to practice what I know and figure out what I need to work on. Ben- Do you have a favorite fly Pattern? Peyton- I don’t have a favorite fly. I have confidence flies for different types of waters. Ben- What is your go to technique when competing? Peyton- I don’t have a go to technique. My technique and style of fishing depends on fish activity and the environment around me. Ben- For someone interested in competing or starting out, what would be your advice to them? Peyton- Join a team and compete in as many comps as possible. Peyton- The reason I fish in the SEFFL is because I live in the area. I think it is very organized and it is great for the sport. Ben- You were the top angler on your team, do you believe the team aspect of competitive angling is a unique outlier that makes the sport more fun than just individual angling? Peyton- Being part of a team helps build relationships and you can learn from people better than you. Ben- Open forum, anything you want to add, you can add below. Peyton- In fly fishing you can be creative. You can create your own flies and techniques. You can also create your own style. That is one reason why I love the sport. It gives me an opportunity to create flies and see if they work when fishing. Also in competitive fly fishing I have made friends from all over USA. I also would really like to thank my stepdad Roger Wilson for introducing me into the competitive fly fishing world and for my family being very supportive of what I do and love. Our next angler interview goes to Richard Carbon of Team Georgia. Richard has not been on the scene long, and I have personally been lucky to judge him at two events this past season. Read below for his interview. For the 2019 season I plan to pick up where I left off in 2018 and keep grinding and striving to learn, win a comp, and maybe repeat as the team top angler. I plan to spend as much time as I can on the water practicing and doing as many comps as I can in the coming year. I also want to fish different bodies of water outside Georgia to experience some different water types. I’ve begun to notice what my weaknesses are as an angler and what I need to work on to become better, so I want to turn my weaknesses into positives this year. I had the pleasure of interviewing Team Stonefly’s Michael Yelton. Michael has been an enormous asset to competitive fly fishing in the U.S. for many years. Please take the time to read the questions I asked Michael and his responses as I attempt to shed insight into what the best anglers int he league have in common. Out of the gate into the 2019 season the Gold Cup was off to a great start. Sadly the event was cut short due to the new Georgia Winter Monsoon season we have dealt with since November. The total rainfall Saturday accounted for .5 inches of rain and the sessions finished just as the river reached the max safe level. Then another 2 inches of rain that night, washed us out for any fishing on Sunday. Anglers did fish both venues, and scores were finalized with sessions on each venue. Ricky Ozmar and Alex Boyer took 1st after taking a close 2nd last year. Austin Shoemaker and Elijah Ellis took 2nd, and Daniel Levi Ladlee and Chase Turner took 3rd. It was a tight race for the top 4. Richard Carbon won Big Fish with a 64cm Rainbow! After a monsoon season of rain the December Championship had to be rescheduled. Now in February the SEFFL board voted to allow the event to count towards 2019 as a 2x multiplier and for the 2018 season as it was intended as the 3x multiplier event. So on February 23,24 2019 anglers and teams descended on the town of Helen,Ga for a true grit competition. 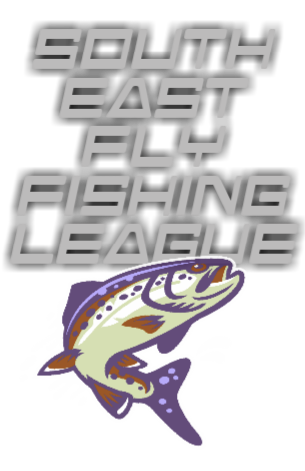 The venues changed due to another week of rain but Smith Creek below the dam held fast but fishable water for the event. 2 days and 514 fish later, Forrest Johnston and Martin Dietz took home Gold for the event, Forrest securing his jump from 4th on the individual leaderboard to 1st place individual angler of the year! Daniel Levi Ladlee and Chase Turner held onto second place on day 2 and proved that were a force to be reckoned with after their top 3 finish at the Gold Cup a month prior. Ricky Ozmar and Josh Kim battled through some challenging beats but ended up with a 3rd place finish for the event, and a 2nd and 3rd place finish individually for the season! As far as team rankings go, Team Dead Drift over took Team NC to finish the season as top team. Team North Carolina took home 2nd place thanks to Forrest Johnstons solo attendance at the Championship event. Team Georgia made an impressive showing and jumped from 4th place team and overtook Team Stonefly for 3rd place team for 2018 season, a true last minute final hour move! It was a fantastic season and look forward to what 2019 has to bring!